Whitehaven always held an interest for Kelly. It had all the elements that attracted him. Although he was charming, sociable and got on well with people he wasn’t interested in them as far as art was concerned. The human stories of smuggling, invasion and kidnap didn’t interest him. Mines, factories, docks, buildings, cars and railways fascinated him. 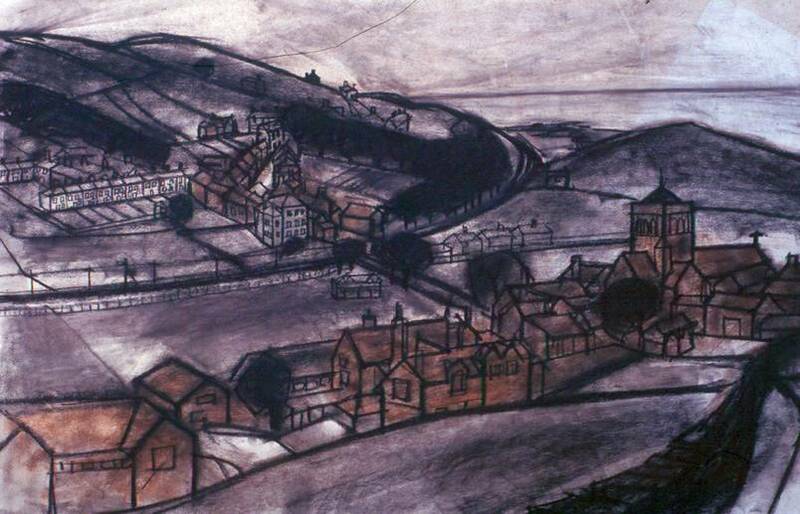 As his 4 year NDD course at Art college in Carlisle drew to a close, he wrote to many industrial companies - steel works, pits, docks, breweries, detergent firm Albright and Wilson and textile manufacturers - asking if he could draw on site. He somehow gained an entree to Haig pit but that could have been unofficial because he avers that they all rejected him except Sekers Silk Mills in Whitehaven. This changed his life. 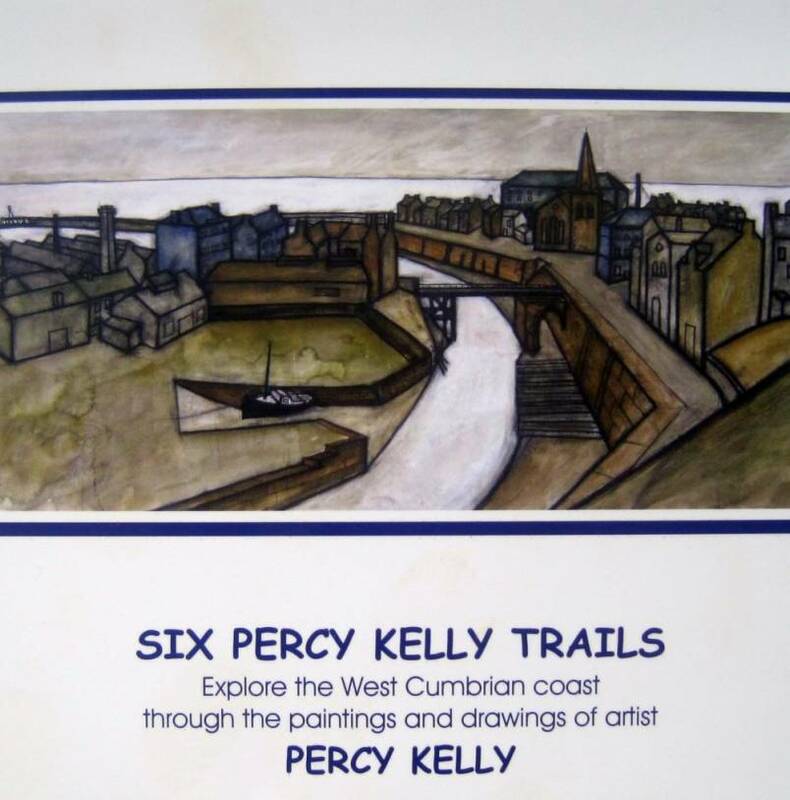 He was 45 and had never had an exhibition despite a phenomenal output of work which was piling up in the cottage in Allonby. The textile magnate, Sir Nicholas Sekers loved his work. 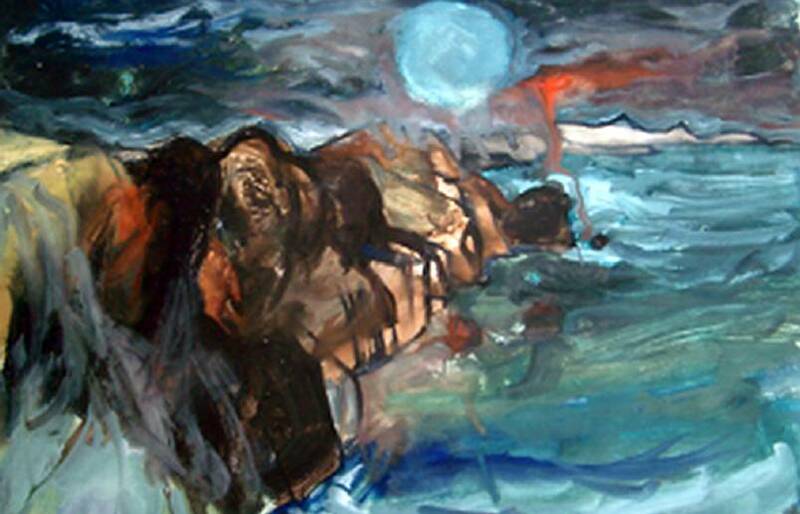 He hung some pieces in his office next to a Picasso and in the boardroom with Miro. He took him under his wing and Kelly found himself in high society, even mixing with royalty. Sekers who had a deep interest in the arts was very well connected. He was a founder trustee of Glyndebourne, supplied fabric for costumes to Covent Garden and built Rosehill Theatre at Moresby just outside Whitehaven bringing top class performers to the town. He took Kelly’s work to London and beyond with paintings commissioned for the launch of the QEII, and inclusion in an international travelling Arts Council exhibition. Looking at catalogues of exhibitions at that time the work shown was mainly of the Whitehaven area and much of it sold. Several large pieces went to Florida, others to Russia and Dublin. 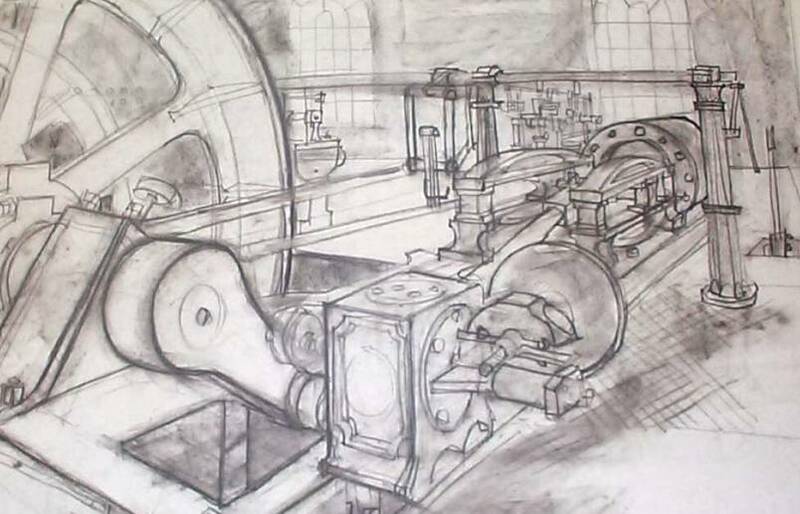 There are no images of these - just his sketch books and rough drawings. Kelly spent a lot of time in and around Whitehaven between 1964 and 1971. He was poised to make his name - the rich, titled and famous were clamouring for his work - but at this important tipping point in his life he decided he didn’t want any more exhibitions despite advice and pleadings. On the breakdown of his marriage in 1971 he left Cumbria but always felt he was in exile. This trail takes us round the southern part of the town’s coastal area as far as St Bees. Kelly recorded a lot of the mining history exploring the cliff top at Kells which is a honeycomb of deep shaft mines, pits and passages which stretch miles out under the sea. This has preserved the cliff top from development making it a pleasant grassy recreational area. It was possibly Kelly’s interest in birds that led him to wander further south to St Bees whose cliffs play host to many rare species of birds and plants. Maybe it was the sheer isolation that drew him to this area. 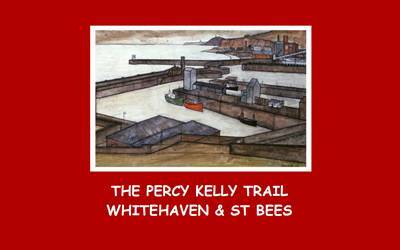 Buy the Whitehaven and St Bees Trail online »» Available as a PDF download.